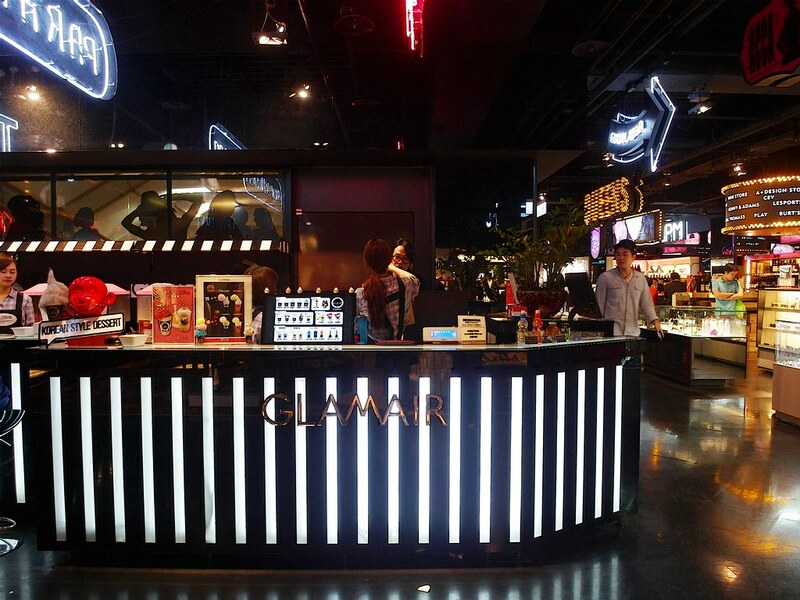 GLAM AIR, a Korean inspired dessert shop in Taipei has been wowing the Taiwanese public with its “Bling Bling” drinks. Known for their innovative take on soft serve ice cream, GLAM AIR is no stranger to the ridiculous wave of popularity that Taiwanese social media can bring to a food establishment. When they first opened in the basement of New Mitsukoshi Department store as part of the ATT4Fun entertainment complex, people lined up around the wazoo to get first hand Instagram snaps of the colorful desserts. The likes of which, seems to have died down just a smidgen. Enter, the “Bling Bling.” The newest, most badass, hundred-dolla-bills-in-da-club offering from GLAM AIR that aims to bring these guys back to social media relevancy. Launched in early February, the Bling Bling is a carbonated drink that when swirled in its bottle, wows the buyer with a scene straight out of a planetarium. Once the bottle is swirled, the colored liquid creates an incredible looking “milky way” directly inside of the bottle. When viewed in full motion, it is actually pretty incredible. Sort of like a luminous light show in a bottle. Take a look at the video above to see. Each bottle runs for 150 NT(~$5 USD), so they aren’t exactly on the cheap side. But their coolness factor and their high instagram worthiness certainly ratchets up the price tag. There are currently anywhere from 3 to 5 flavors at any given time. Blue is marketed as white grape champagne, whereas purple is rose grape and red is cranberry. Supposedly there are other flavors that get rotated in, but the popularity of these drinks means that they sell out fast. So best get to it before they move out forever. When asked about what makes these drinks shine so bright?